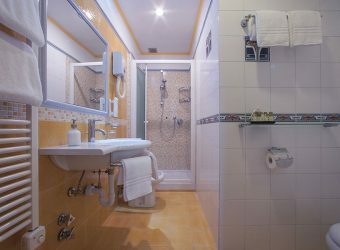 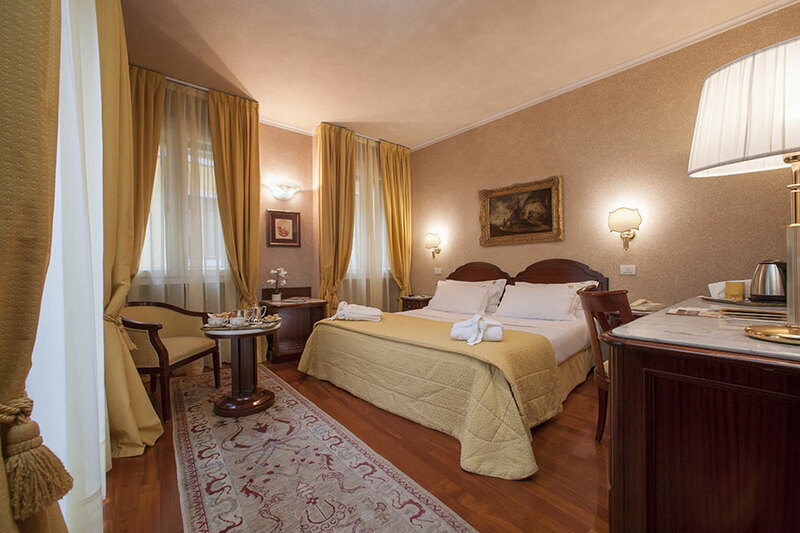 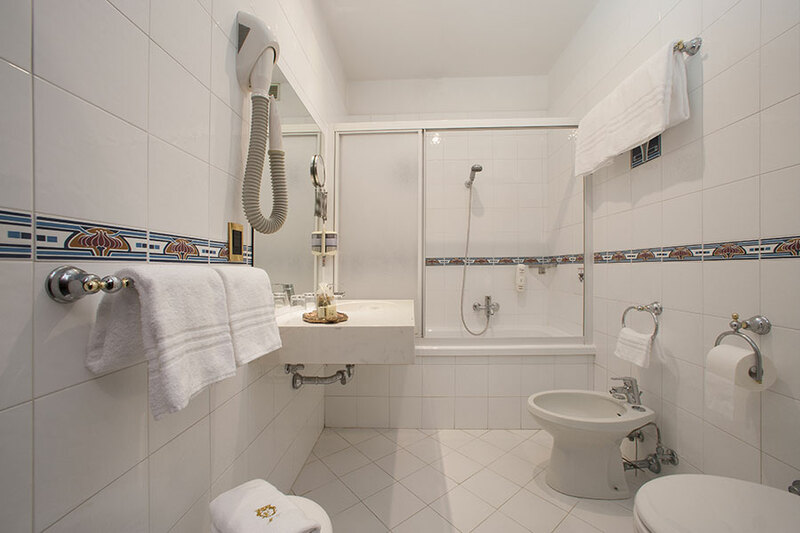 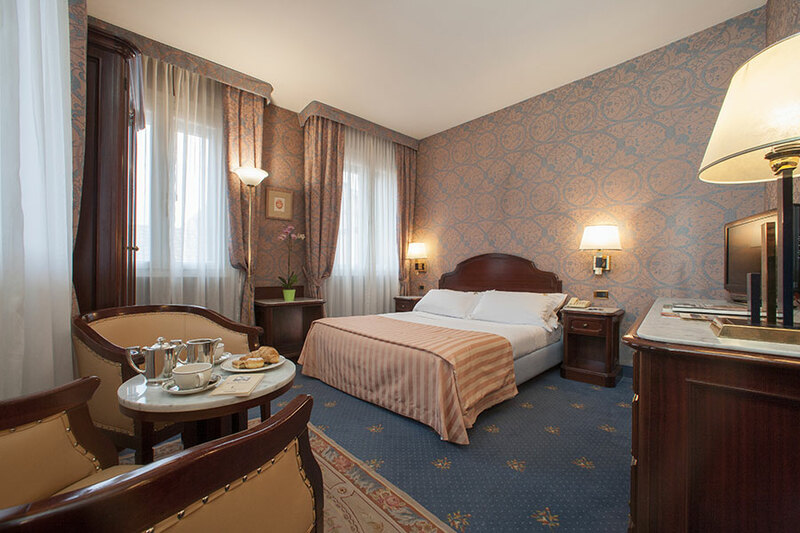 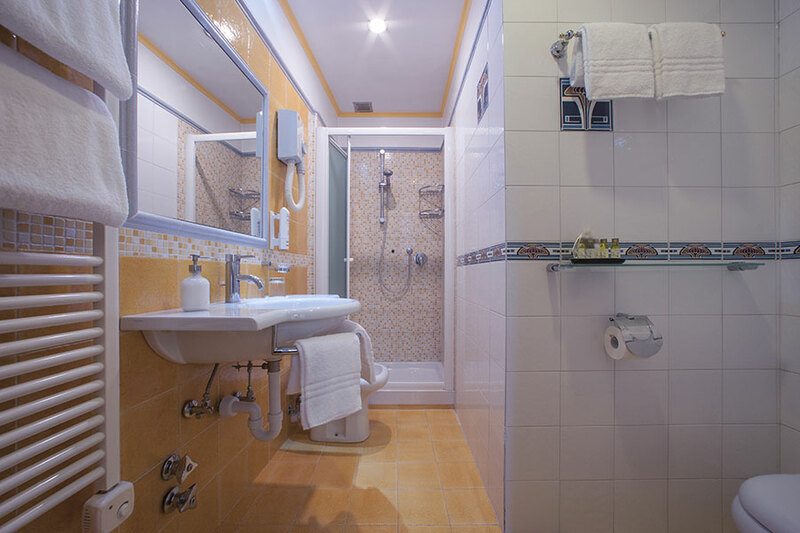 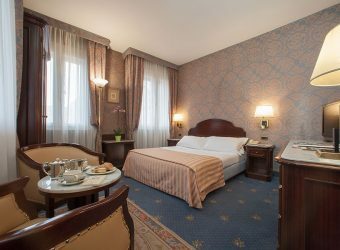 Comfort double rooms are between 22 to 29 m² and are furnished in nineteenth-century English-style. 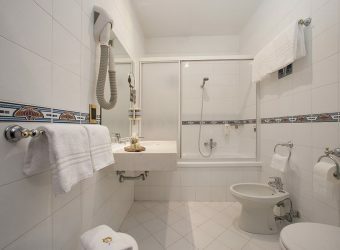 They have a comfortable doublebed or twin beds with bathroom en suite, some with shower others with tub. 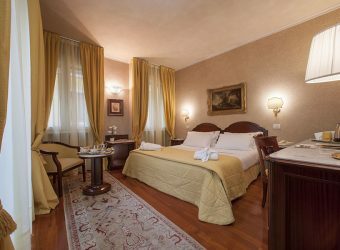 Guests can choose between a room overlooking the little square in front of the hotel, or a quiet courtyard at the back.